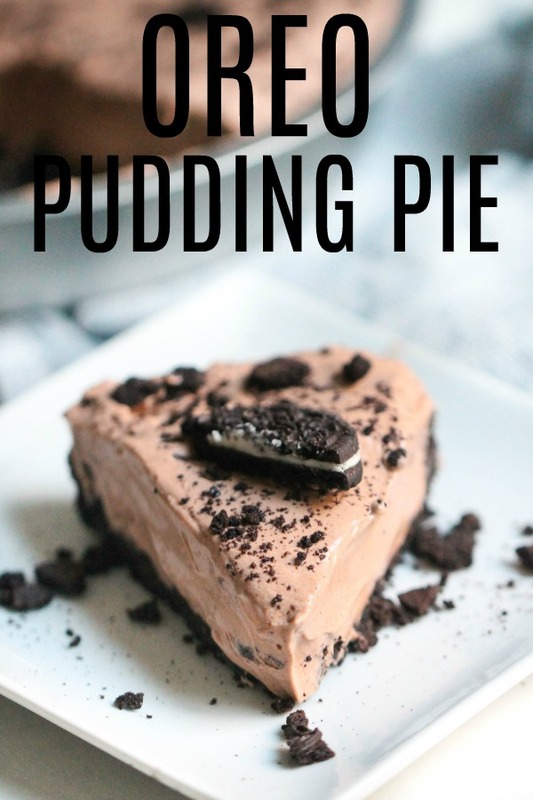 Oreo Pudding Pie is a delicious, no-bake chocolate dessert with just five ingredients. 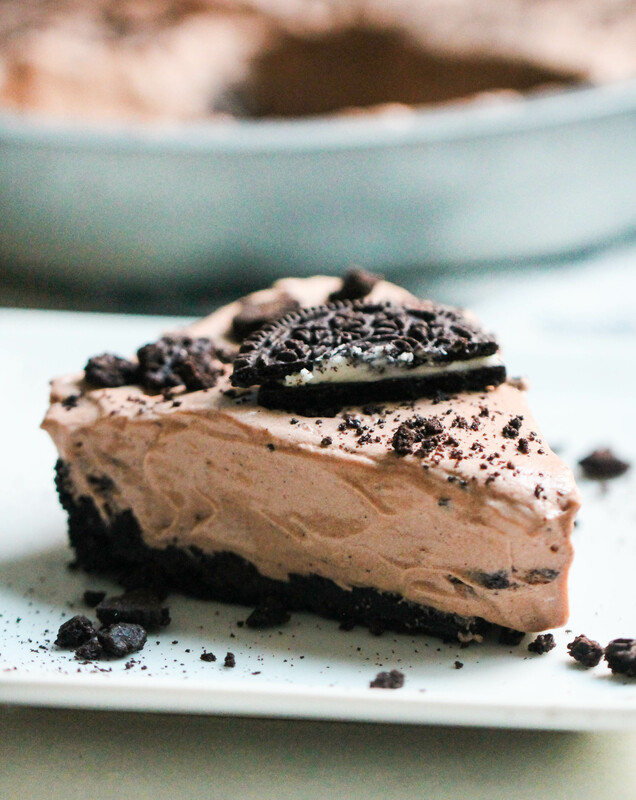 Creamy, chocolatey, Oreo pie heaven is literally just minutes away! 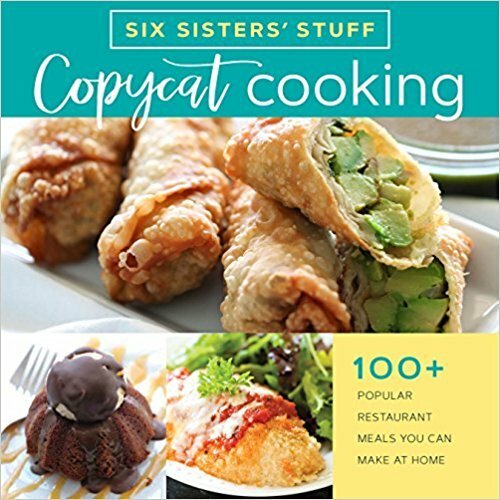 Ever panicked right before company comes over because you have no dessert, no-ingredients, and no time? Have no fear! Our Oreo Pudding Pie takes less than 10 minutes to throw together and there’s a good chance you already have all the ingredients sitting in your fridge or pantry. Make pudding according to directions in a large mixing bowl (you’ll need room to mix in everything else). Gently fold in the cool whip. You’ll want to stir it until it’s just combined. Avoid overmixing for a fuller pie. Mix in the crushed Oreo’s. Make sure your Oreo chunks aren’t too small. Pour the mixture into the pie crust. Spread it evenly, so each piece will be roughly the same size when cut. Garnish with large Oreo cookie chunks. We think it also tastes great with a little extra cool-whip spread over the top. Serve immediately. In a food processor or high powered blender, mix together 28 Oreo cookies and 1/3 cup melted butter. Press mixture into the bottom and up the sides of a pie pan. Refrigerate for 30 minutes (letting it set up) before filling with pudding mixture. If you want a firmer crust, bake in an oven at 350 degrees for 10 minutes, then let it cool completely before filling it with the pudding mixture. Can I make OREO PIE ahead of time and store it? Because of the moisture content in the pie, we would not recommend making it ahead of time, or storing it for later. This recipe is best made and eaten on the same day (and even within a few hours). 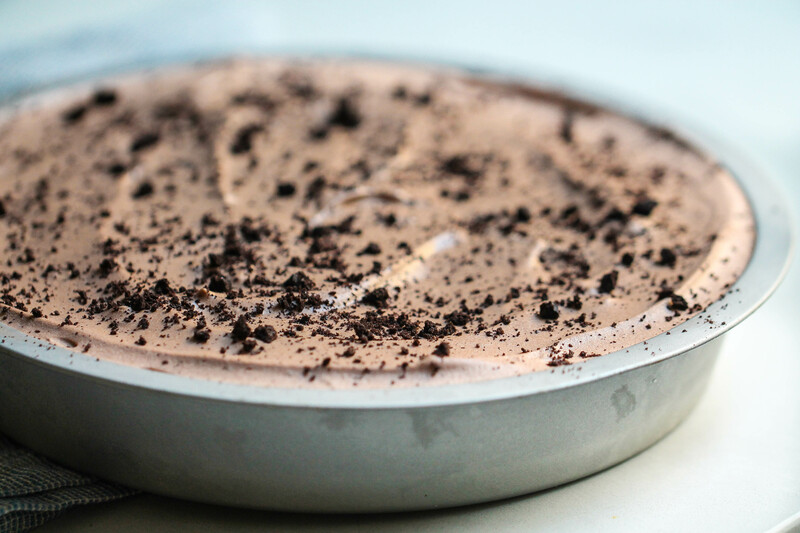 Oreo Pudding Pie is a delicious, no-bake chocolate dessert with just five ingredients. 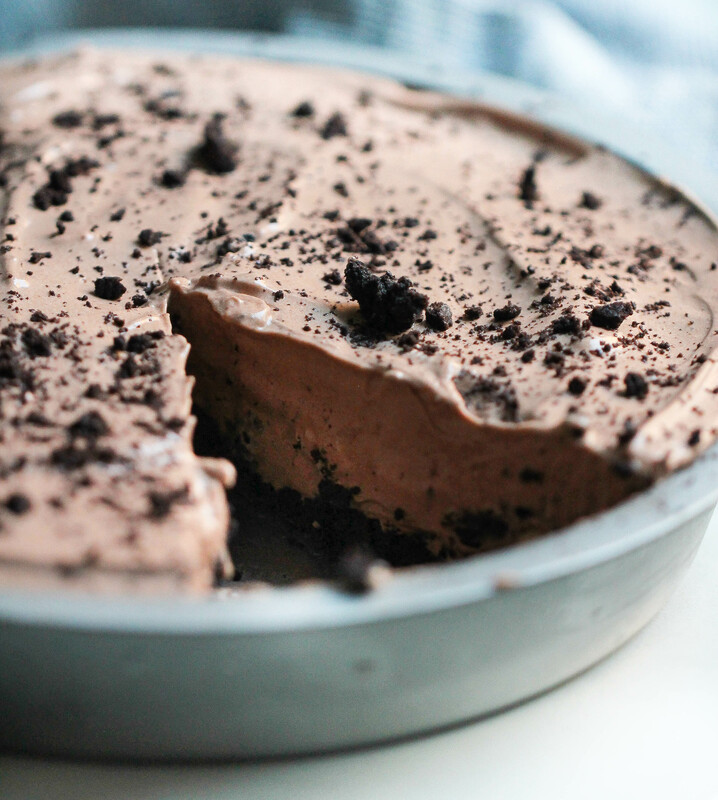 Creamy, chocolatey, Oreo heaven is literally just minutes away! Make pudding according to directions on box using the milk listed in the ingredients. Crush 12 of the Oreo cookies and mix in. Garnish with 4 Oreo cookies that have been broken into chunks. Hi, If in not eating this pie right away should I keep it in the fridge or freezer? You will want to keep it in the fridge. Try to make it the same day you eat it. It doesn't store well. But it is so delicious the same day!